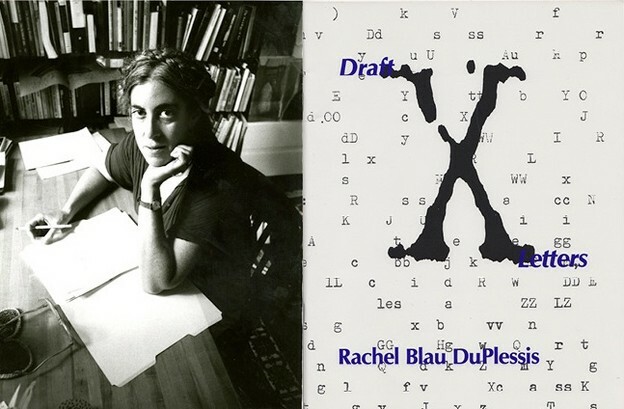 Rachel Blau DuPlessis in 1985; Draft X (Letters), 1991. Since 1985, Rachel Blau DuPlessis has been publishing a series of 114 poems which together form a single long poem entitled Drafts. There are five full volumes to date. Of this project, DuPlessis writes, “There is no narrative, no plot outline, and in terms of seriality (building an argument inferentially, by leaps and movement) — the poem works only in the most general way.” Critics have called DuPlessis’s Drafts “massive” and “endless,” although this sense of them has been somewhat attenuated since she announced a numerical end to the project now in sight. DuPlessis uses this extensive and recursive long poem as an apparatus to find new ways to understand the dynamics of daily and social life in the context of global relations. The poems catalogue one woman’s lived experience in a way that offers an expansive understanding of what might constitute one woman and what might constitute her physical, intellectual, emotional, and political realities, realities that the reader can perceive as both unique and shared. Drafts offers an account of the speaker’s complex subject positions and through them, we are offered the opportunity to consider our own. Drafts represents a material, and immaterial, life in such a way that we are forced to encounter it not just as mere representation, a place for identification, but as an ethical and phenomenological practice wherein issues of human autonomy and agency are experienced. The poem’s real contribution, though, is how — through the time that she demands we spend with this long project, through the experience of time the formal attributes of the poem create, and in the way she manipulates our understanding of the place of the individual in history — Drafts shifts our understanding of the relationships of time, history, and agency. I will argue that the poem opens a space, or rather a time, that lets us conceive a slowdown to the speedup of capitalism that robs us of the possibilities of agency outside of moments of crisis. Drafts is based on a rhetoric of provisionality, and DuPlessis describes the ethical conditions of her work as being characterized by a “messianic deferral” expressed through the “feeling of the unknowable and the unreachable” enacted by the poems as “versions of something that can never really be completed, never fully be found, never totally be articulated.” And yet, the poems are deeply concerned with articulating the possibilities of a politics of change and the potential for individual or collective agency. Which is not to say that the poems have a hopeful view of the world or these possibilities. Often in her explorations of the Holocaust, the work of Adorno, the limits of language, the disastrous “news of the day” — all topics she returns to repeatedly — the speaker seems overcome by despair. Yet while each individual poem may seem stuck in the frustrations of powerlessness, the project as a whole offers something else, something with more potential. The fact that she returns to write another poem, to offer us another, and yet another, attempt to understand, allows us to stay in the moment of seeking longer and longer. Drafts defers conclusions and solutions, but it does not defer their seeking. One effect of her repeated returns is that it allows the present to take a long, slow time before it is relegated to the category of the historical. This extension of the present is amplified in multiple ways, one of which is her explicit investigation of our relationship to history. In “Draft 85: Hard Copy,” from Pitch, an example that is echoed in many other drafts, DuPlessis writes, “17 May 1986 Or whenever ‘now’ is.” We might read this statement as a bleak assertion that by deferring solutions, we don’t move on, we make no progress. And, in fact, when I Googled this date, the first hit told me that the Los Angeles Times headline for May 17, 1986, was “Chernobyl toll rises to 13” while that day’s headline was: “Japan Nuclear Crisis.” But this passage in the poem can also be read as a reminder that this moment is like that moment, is a significant return, that there is something to be learned and used from the doubling. The next two lines in the poem read: “Enough to look at here / For the rest of a lifetime.” One date that will take time to contemplate. One day turns into another, turns into a life. We must take our time with this, the poem implores. And, in fact, the epigraph to the poem, from Celan, tells us: “The poem is lonely. It is lonely and en route. Its author stays with it.” DuPlessis stays with this poem for a lifetime and the poem asks us to do the same. feeling much, even any, of this. and never look at shame. “Straight thru time / and never look at shame.” DuPlessis’s work asks us to stop shooting or slipping “straight thru time.” It aims to slow us down. Long enough to look at shame, long enough to acknowledge our complicity with the exploitations she charts, and long enough to do something about it, to use our time. But what happens when we use our time not in activist engagement, but in contemplation? What happens when we use our time to read a long work like this one? What happens when we succumb not to the lure of speed, but to the lure of suspension from speed? A politically engaged aesthetics must do more than awaken a population frozen in automaticity; it must also seek to produce suspensions in those who are already too animated. Suspension, in this sense, empowers their differential capacities of sensation, which in turn makes possible new forms and objects of willing … Keats and Shelley’s poetics seek to produce the future by attuning readers to the rhythms of slow time. Authors such as Coleridge saw suspended animation as a dangerous condition, and they employed the concept to describe a loss of subjective autonomy produced by the distractions of modernity. Authors such as John Keats and the Shelleys, by contrast … [saw suspended animation] as a potentially desirable state that could regulate the otherwise swift and automatic animations of modern life. Where Coleridge feared suspended animation, seeing in it only a narcosis of the will, Keats and the Shelleys aimed at a poetics of trance, deploying literary form as a technology that could vitalize readers’ will and understanding by suspending animation. 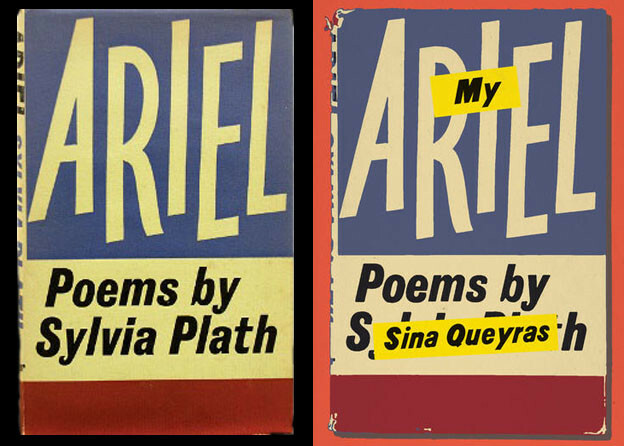 As in Keats and Shelley, DuPlessis’s work “deploys literary form as a technology that could vitalize readers’ will and understanding by suspending animation,” but, unlike theirs, her mode of suspension is not that of the sustained trance, but instead a periodic suspension that is repeatedly punctuated by interruptions that serve as injunctions to return to a renewed and reconceived animation. Hers is not the slow time of semiconscious reverie, or anaesthesis (etymologically without sensation), as her text shuttles back and forth between suspension and its critique, between contemplation and action. Drafts breaks into the monolithic with its striking, often playful, heterogeneity. Formally, DuPlessis does this through a number of devices including the multiple entry points each new beginning offers, the informal welcome of naming the poems “drafts,” the inclusion of the occasional doodle, image, or glyph, and the myriad ways she invites multiple modes of reading — bouncing across open field pages filled with gaps and irregular line breaks, or stumbling across blackened redacted lines that literally bar the poem from sonorous propulsion (as in “Draft 68: Threshold”), in numerical order, or leapfrogging from one “donor draft,” as she calls them, to the donee (a sidenote here: the poems are, she says, “folded” over one another with each poem donating bits of language to another). A number of the poems also feature the disruptive appearance of prose passages that break the trance of verse, and almost all of the poems are linked to extended endnotes that force us to shuttle back and forth in the book, in and out of the poems. These endnotes, of course, at first present themselves as merely paratextual, secondary by virtue of their placement and posing as the recognizable authority markers of referential discourse. But the notes are central to the poems, to DuPlessis’s inquiry and to the analyses that take place within the text’s bifurcated realms and in the dialogue between the realms. and pours “it” as libation on the ground. It’s the “work of a moment.” A moment in which “is” — the ongoing being, the living, the flow of time and history — is suddenly interrupted by the appearance of a subject, the “it” poured as libation on the ground. The event as the place where the axes of horizontal and vertical intersect. The moment that makes visible the horizon of history. The place where it unfolds and in that unfolding offers us the chance to become subjects precisely when we “pledge ourselves to sustain a continuity of thought and action” (as Peter Dews described Badiou’s arriving subject) when we heed Badiou’s call to “do all that you can to persevere in that which exceeds your perseverance. Persevere in the interruption.” DuPlessis’s Drafts “persevere in the interruption” and offer us an experience and understanding of time that keep us both focused on and participants in the contradictions of contemplation and action in a manner that doesn’t allow for any simple, political suspension. The poems unfold a new time, an interruption in which we can persevere. 1. See Carlos Soto Román’s Elective Affinities blog. 2. Rachel Blau DuPlessis, Pitch: Drafts 77–95 (London: Salt, 2010), 42. 3. DuPlessis, Drafts 1–38, Toll (Middletown CT: Wesleyan University Press, 2001), 172. 4. Robert Mitchell, “Suspended Animation, Slow Time, and the Poetics of the Trance,” PMLA 126, no. 1 (January 2011): 114. 6. DuPlessis, Drafts 1–38, Toll, 170.